What’s the Difference Between Spot and Process Printing? 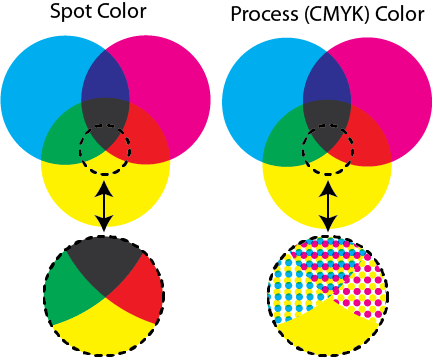 The ink on a process press only uses four colors: Cyan, magenta, yellow, and black. Those colors are printed in screens to give the appearance of different colors when viewed far away. If you looked at the newspaper under a magnifying glass, you’d see the dot pattern. And if you find you’d rather have someone help you find the right printer for your project, give me a call or shoot me an email. I’m always happy to help.